This week’s whisky is something of a surprise. It’s from South Africa – for some reason, not a country I ever thought of as a whisky producer. It turns out that The James Sedgewick Distillery has been going since 1886, although initially it was built to produce brandy. It’s only been used for whisky production for the last 20 years or so. 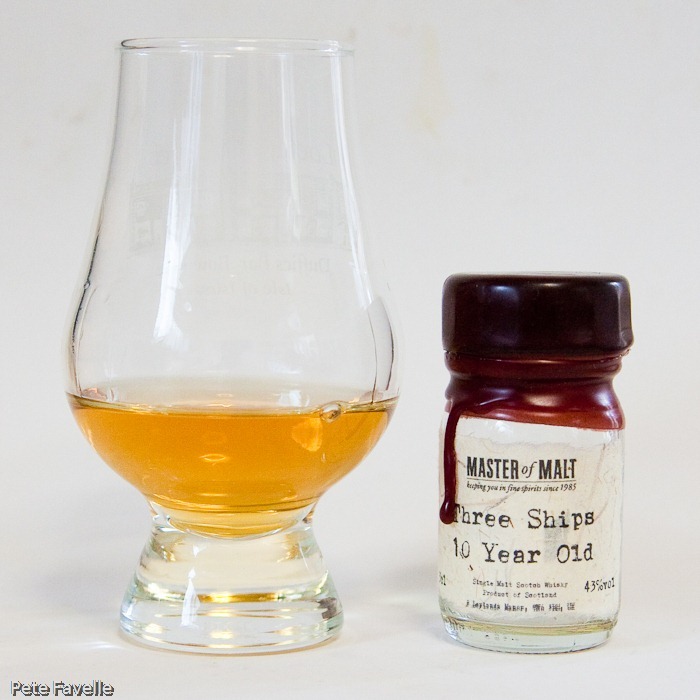 This is the Three Ships 10 Year Old, the first South African single malt to ever be released – their previous productions having all been blends rather than single malts. It’s a light, almost golden colour with definite honey hint to the nose. There are also some grapefruit aromas lurking behind the alcohol. Water allows much more of those green, fresh fruit smells to shine through. It’s a similar story on tasting; light and fresh tasting with a nice sweetness, smooth with a very long peppery finish. The addition of water allows the whisky to keep that light, fresh feeling but cuts back on the finish, making it a delicious ‘drinking’ whisky – definitely one for summer evenings rather than winter nights. I wasn’t sure what to expect of a whisky from such an unexpected country; I’m pleased to say that it’s a sweet, smooth whisky that I’d be very happy to keep in the cupboard. I just got back from an incredible two week stay in SA. My second night there I had the pleasure of visiting the whiskey bar at the Cape Grace hotel in Cape town. I was given the treat of tasting The Three Ships 10YO single malt and decided to purchase some to bring home and introduce to friends back in the states. My wife thought I was crazy ( like she needed another reason! ) when I made a point to stop at every liquor store along the “garden route” in a vain attempt to secure my purchase. Alas, no luck in finding the 10 yr old anywhere in South Africa, so now I’m online trying to play detective! I believe much greater support would be inevitable with better supply. Any help in finding this single malt, plus any further comments would be much appreciated! 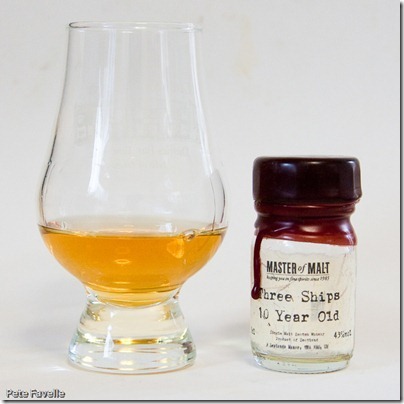 Hi Dana, you don’t say where you’re based, but our friends at Master of Malt sell Three Ships and have it in stock! Thank you for your reply! I am now at home in Morehead City, North Carolina in the United States. I would love to find some Three Ships single malt somewhere here in the states! Also, I ask you for your forgiveness! After seeing it advertised in SA for 279 rand, and being 9.31 Rand to a US Dollar, I am experiencing some internal resistance to “outside” pricing on the product.